THIS is the charger! What a beast! Sure, there are chargers on the market that will charge a little faster (a practice I don't find particularly safe), and there are chargers that will connect to your phone via Bluetooth, but THIS is the charger! I know I'm gushing. Sorry. What is it? It's an 8-slot multi charger. Each slot has its own controls and fairly comprehensive backlit, digital display. 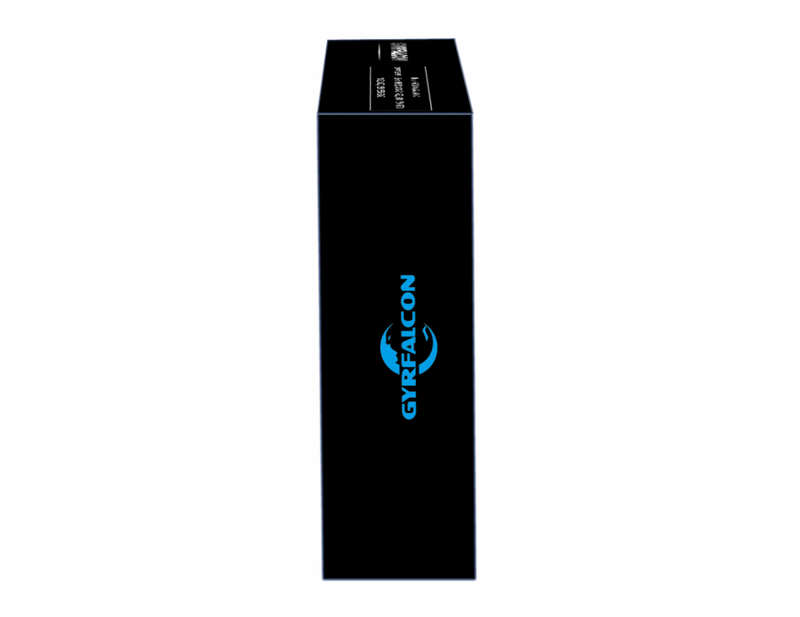 It will handle NiMH, NiCD, Li-Ion, and LiFePo4 batteries. The slots will accommodate batteries as small as 10140 and AAA and as large as 26650 and C in 8-slot operation. 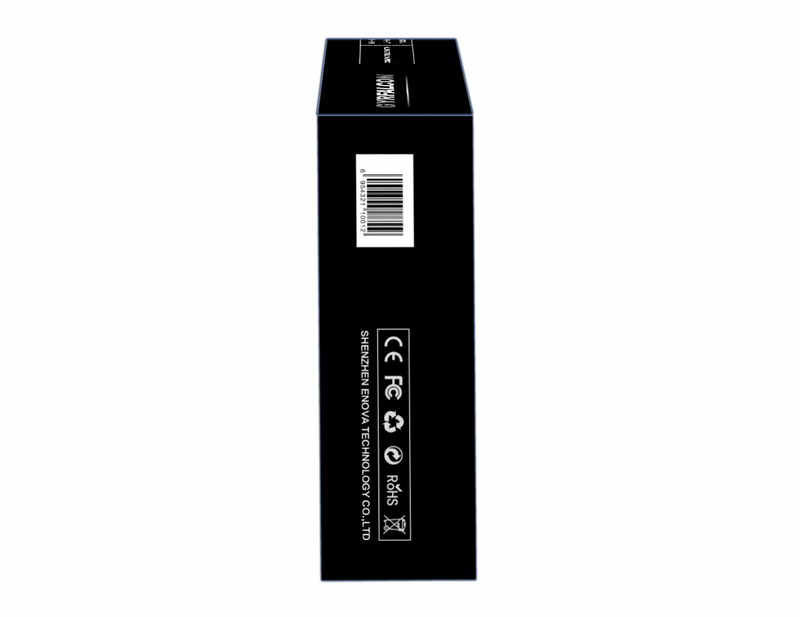 Batteries as large as 32650 can be charged in 4-slot operation. Each slot is capable of charging batteries independent of other slots. This means that AAA NiCD and C NiMH can charge alongside 18650 and 18350 Li-Ion all at the same time. And each of those slots can be charging the batteries at different rates. 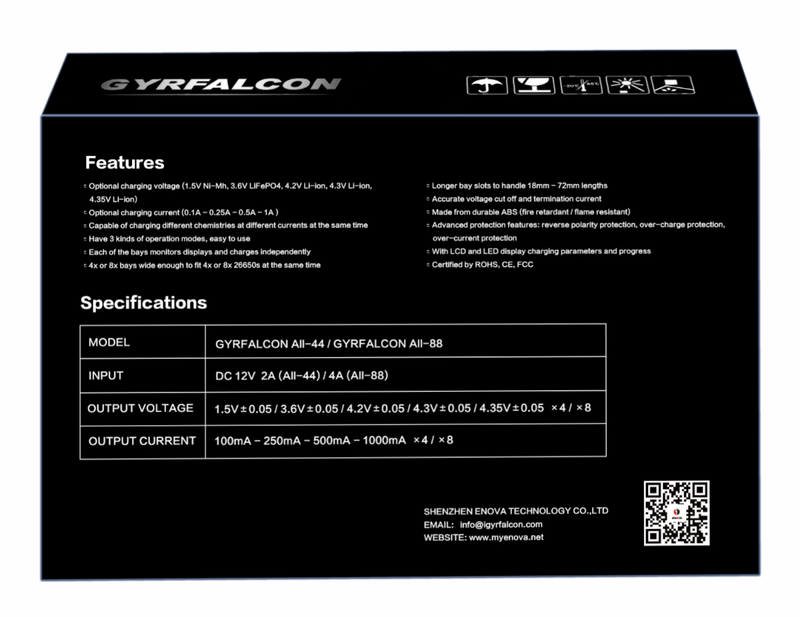 The charging rates can be set for 0.1 Amp, 0.25 Amp, 0.5 Amp, and 1 Amp. 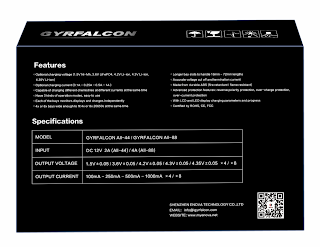 The voltages can be set for 1.5 Volt (NiCD and NiMH), 3.6 Volt (LiFePO4), 4.2, 4.3 and 4.35 Volts (Li-Ion). 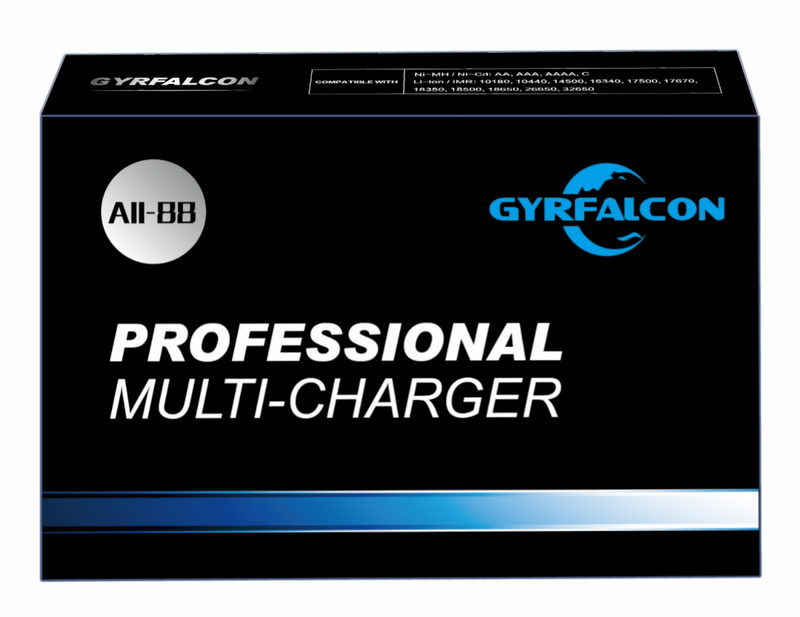 The charger also features a slew of safety protections including reverse polarity protection, over-charge protection, and over-current protection. The charger comes with a power supply the size of a laptop power brick. This is needed to supply the device. 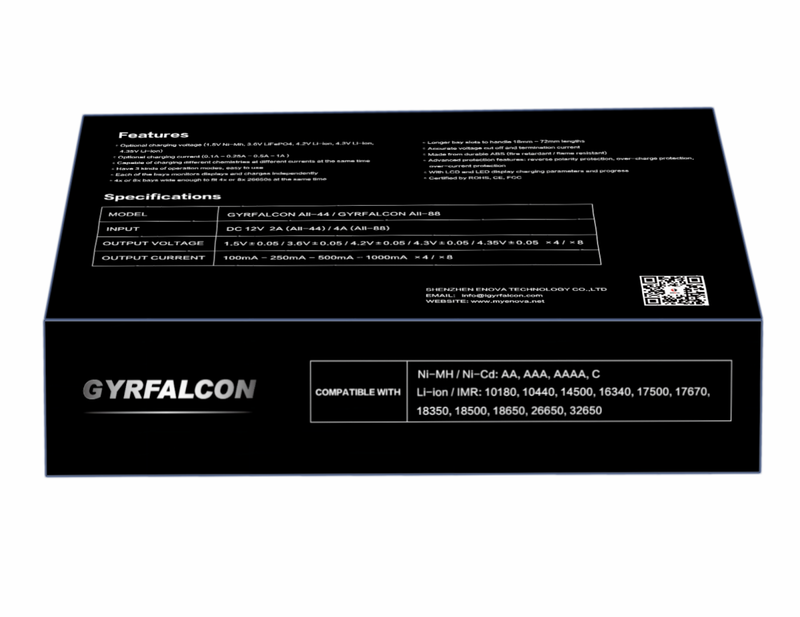 Putting the power supply separate from the device also allowed Enova to keep the Gyrfalcon All-88 rather svelte. The device measures 245 mm across, 155 mm deep and 32 mm tall. It fits nicely on a shelf or larger desktop. Along with this 8-slot device, Enova is also introducing a 4-slot device with identical features across 4 slots. 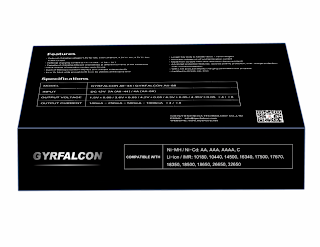 That's the only mention the Gyrfalcon All-44 will get in this review. Where can it be purchased? I don't know, yet. I am told by Enova that the production run is finished (as of May 24, 2016), and that they are starting to ship to vendors and distributors. I just don't know, yet, who the vendors and distributors are. As I get updates, I'll post them here and in the description of the accompanying video. How much? Enova tells me the MSRP is around $58. Really, really reasonable! The device's operation manual - a single, two sided sheet of paper - offers up a few cations that should be heeded before proceeding. 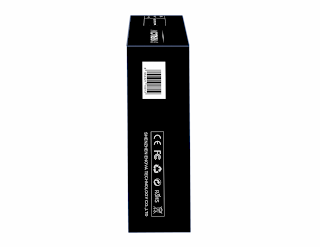 Notably, they say to select a suitable charging voltage, use high-quality batteries in good condition, and charge NiMH or NiCD batteries at 0.5 or 1.0 A. Of course, the manual also say to only use the device as instructed, to stop using if any of the cords are damaged, remove the battery when charging is complete, keep out of reach of children, and don't take the charger apart or modify it. I would add that it's never a good idea to charge batteries unattended. The Gyrfalcon comes with a whopper of a warranty! They will exchange the item if it proves to be defective within 15 days. After 15 days and up to 12 months (ONE YEAR! ), they will repair the charger. After 12 months, the warranty continues to cover labor and maintenance, but not parts or accessories. There are caveats to the warranty, however, as it must be done through an authorized distributor or dealer. They will also consider the warranty void if the damage happens due to improper use, leaking batteries, modification of the device, or damaged batteries. The charger I received is the final device, but the retail packaging was not yet completed. I got an email with a downloadable PDF file for the manual, and a handful of JPGs for the packaging. There is a bit of a learning curve in using this device. Especially if what was used previously was a simple device such as an Intellicharger i4. With the Intellicharger, the batteries were put in the slot, the batteries charged at a pre-set rate, the batteries were removed. No buttons, dials, switches. Simple. If batteries are placed in the slot on the Gyrfalcon, a blue LED will flash indicating that the charger recognizes that a battery is present, but nothing else will happen until the charger is told to charge. All 8-slots can be configured to operate the same way by pressing and holding the FN (function) key, then pressing the C=V (Charge/Voltage) key. When this is done, all the slots revert to the stock setup of 4.2 V at 1 A. To charge at this rate, insert a battery into any slot. That slot's button light will begin to flash, and a press of that slot's button for 2 seconds will kick the charger into gear. The "TIME" will flash for a moment indicator and will stop flashing when charging begins. The battery bar will begin to flash in a ladder up pattern. This is achieved when a slot is selected by pressing its button. This will cause the C=V light to go red and "charging time" will begin flashing. Clicking the slot button will cause the voltage indicator to change. It will round-robin from 1.5 to 3.6 to to 4.2 to 4.3 to 4.35. When it is set as desired, pressing the slot button for two seconds will lock it in. Another press to the C=V button will switch the indicator over to the charge rate, and the C=V indicator light will turn blue. Pressing the slot's control button, now, will cause the C indicator light to round-robin from 0.1 to 0.25 to 0.5 to 1.0. When finished there, the slot is set. A battery can be inserted and started as with the all-8 slot start up. If there are two batteries requiring the same setting to be charged at the same time, it is not necessary to set both slots individually. Instead, after setting one slot as desired, simply press and hold the configured slots button and then press the button of the second (or third, etc.) slot. This will copy the first slot's info to the subsequent slot. Charging can then commence as in the 8-slot operation. 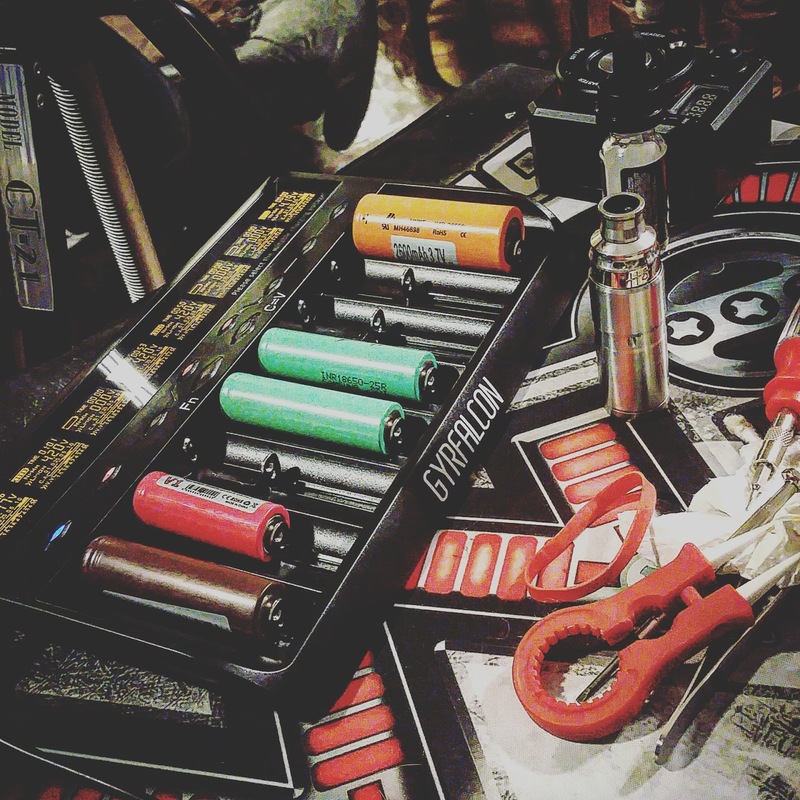 In the course of evaluating and reviewing this product, I have charged two different kinds of batteries, and four sizes of batteries at different rates all simultaneously, I have filled it up and charged eight 18650s at the same time. In a nutshell, I've used it as any vaper might use it. It has held up and performed perfectly. Additionally, the slots are generous in dimension and the slides were smooth in operation. 1 Amp to 8 slots! The charger will get hot (though not dangerously so) when charging a lot of batteries at the same time (I think it could use some additional ventilation... maybe even a fan, but that would increase the size). Finish: 10/10 - Nice! The only con worth mentioning here is the fact that the device I received did not have the retail packaging (which will be completed now), and the slots had a little bit of residual oil in them. Form: 9/10 - Nearly perfect! It's a little wider than two Intellichargers side by side (my old setup), but sleeker... lower profile. Although it would run the profile, I think a little more ventilation and maybe a fan would help keep things a bit cooler in operation. Function: 10/10 - The only drawback to this charger is the omission of a faster charging rate, and I am not knocking a point off for that as I feel that 2 Amp (and higher) charging rates are not always safe. 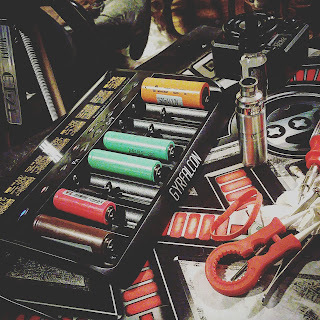 Final: 9.7/10 - A+ Any vaper with multiple mods - especially those with Reuleauxs, Triades, BIGGER DNA200, Twisted420 unregulated, Tres Equis... well, any of the current crop of three and four battery devices - will benefit from owning this charger. We need to stand up and be counted. Write the legislature, representatives in congress, senators, the president! Stay informed! Educate!